I am Providing This Service 100% Manually So your site is safe you can get all Quality links and the ranking of your site increases. Affordable Price : 40 High Quality Niche and keyword Relevant Backlinks gig Only for seoclerk members just for 6$ WOww..
* I will scrape high Quality Blogs Manually According to your Niche. * i will use unlimited keywords and Inner pages. * i will put Anchor Text , with Heavy Emphasis on your Brand. * The Aproval rate will be 100% Because the Comments Will 100% Becuase the comments will be Made Manaully and will be Relevant. 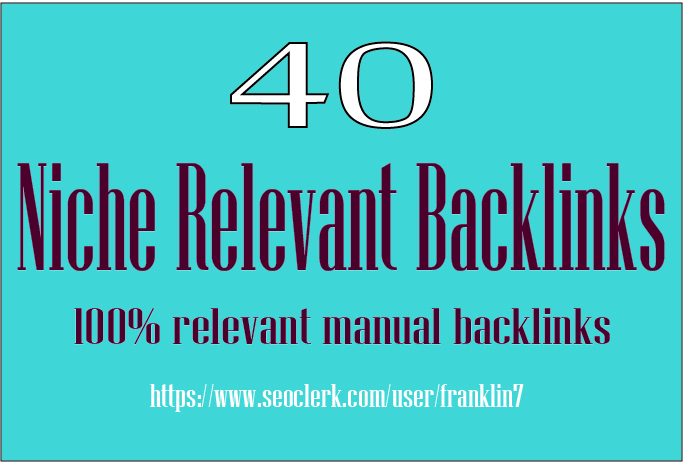 40 High Authority Niche Relevant blogcomments backlinks is ranked 5 out of 5. Based on 74 user reviews.